Edens Structural Solutions proudly serves homeowners with custom and complete foundation repair in Oklahoma City. Give us a call today at (405) 260-9320. 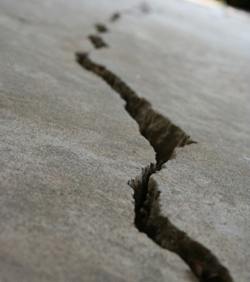 Home foundations in Oklahoma City are prone to problems such as cracks, settling, and sinking. This is typically a result of poor home construction and problems with the surrounding soil. Homeowners may simply not be aware of how structural foundation problems are possibly effecting their home. Waiting too long, or not treating the root cause of the problem, can lead to much more expensive and time consuming structural repair later down the road. It is important to recognize what structural foundation issues look like and act early. Noticeable signs of foundation movement include, but are not limited to, large cracks indicating separating areas, cracks in concrete basement walls, sticking exterior doors, or gaps between ceilings and walls. Repairing home foundation problems in Oklahoma City starts with a structural consultation to properly diagnose the root cause of the problem. Only then can you determine the adequate repair solutions for fixing the problem. Edens Structural Solutions has over 30 years of experience in diagnosing and repairing foundation problems, and it is our mission to give Oklahoma City customers the best service and foundation repair solutions at a competitive price. Complete foundation repair solution! Our custom solutions provide the strongest and most complete repair. Lasting foundation repair guaranteed. Get it fixed right the first time around! We offer an industry leading, 100% transferable warranty and a 20 Year warranty on exterior piers. Professional and exceptional customer service. All of our staff are committed to high standards of conduct and performance to ensure customers receive a first-class experience. Edens Structural Solutions is the leading foundation repair contractor in Oklahoma City. If you need a foundation repair contractor you can rely on and trust to get the job done right, contact us for a free consultation on your foundation.